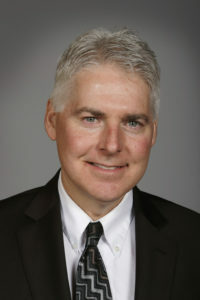 Senator Mark Lofgren earned his B.B.A in finance from the University of Iowa. His professional experience includes careers in both the real estate and investment industries, formerly owning and operating Lofgren Investments, and a real estate business. His current position is a real estate associate with Re/Max People in Blue Grass, where he specializes in both residential and commercial real estate. He has earned Chartered Financial Consultant, Certified Residential Specialist, Graduate of Real Estate Institute, and Accredited Commercial Professional designations. He has also served two terms in the Iowa House. Senator Lofgren is a lifelong resident of Iowa. He has been married to his wife, Paula, for 29 years. They have four children: Emily, Olivia, Maggie, and Markus, and four granddaughters. Senator Lofgren is a former track, basketball, and soccer coach for the Muscatine Community Y and Youth Sports Foundation. He also is an avid runner in his free time.